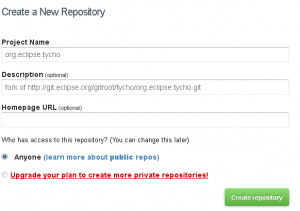 In a recent post, I described how to contribute a patch to an eclipse project using git as its version control system. As of today, pull requests are not accepted by Eclipse committers since they lack IP (Intellectual Property) information, and the official git repositories at eclipse are hosted by the foundation not on github (github repositories of Eclipse projects exist for mirroring only). git commit -m "BZ xxxxxx : comment"
That’s it ! 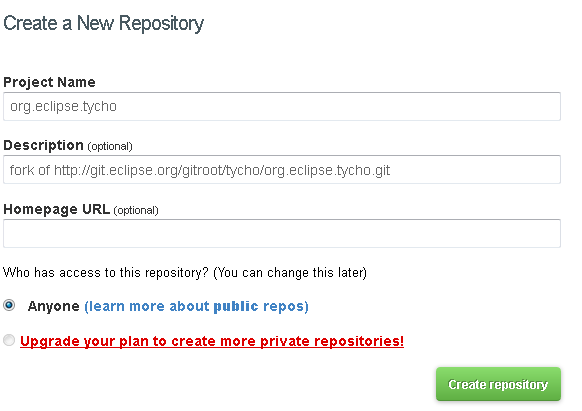 you just contributed some code to a cool Eclipse project ! and copying/pasting the commit ids to the bugzilla entry. I’m still relatively new to Git, so if you think there are better ways to sync the repositories, then please add a comment to this post !